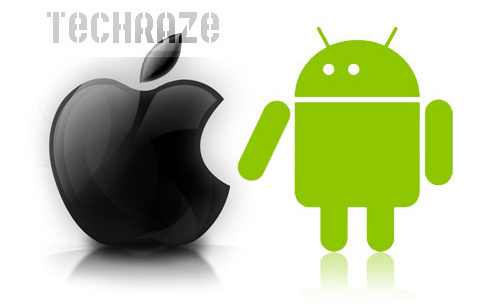 How To: Install Android On iPhone 3G Using iPhoDroid??? 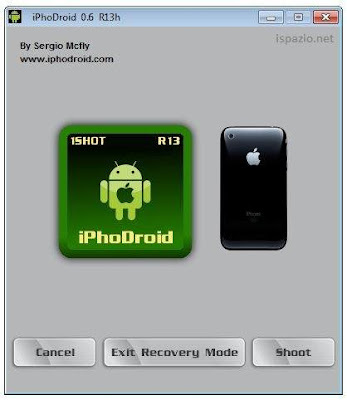 iPhoDroid 1Shot R13 is the application for Windows that allows you to install Android on your iPhone 3G. However the many bugs , did not allow multiple users to complete the installation. Step 1: Download iPhoDroid R13k for windows. 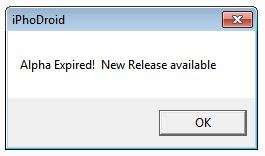 Step 2: When launching the application on Windows 7 you may have a strange error says "Apha Expired! New Release available"
You can simply solve it by clicking of the clock at the bottom right and change the current date. Just go back only a month. Try to open the application again and you should not have any problems. Note: when I tried to run iPhoDroid 1Shot R13h on my Windows 7, I got an error message says "Your computer is blocked to run this application", if you see this error, you simply have to right click on the iPhoDroid icon, then choose "run as administrator". Step 4: Connect your iPhone via USB to your computer and click on "Shoot" . Step 5: After a few seconds it will detect the iPhone then it will start the process of extracting the necessary drivers and files for the Android touchscreen, this procedure takes a few minutes but it is completely automatic, you have only to watch it. Step 6:The iPhone will reboot automatically and will enter into Recovery Mode. Step 7: Start again iPhoDroid.exe and click "Exit Recovery Mode" to start the iPhone. Step 8: The process is completed and now you finally have your Android on iPhone 3G. Note:This guide is only for the iPhone 3G.